The fire and water damage restoration experts at Zero Defects offer a quick turnaround to get your building ready for business as quickly as possible after it has been damaged by fire or water. As a full-service building restoration company, we have the resources to efficiently deal with both exterior and interior problems. We can help with every aspect of your repair and restoration process. 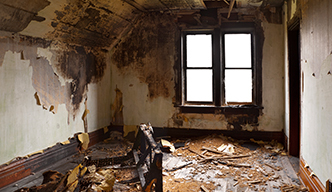 Home and commercial property owners across the Greater Toronto Area and rely on our building restoration expertise to remove all traces of fire/water damage. Fire and/or water damage pose a serious threat to the structural integrity and safety of your building as well as its interiors. They also create unhygienic conditions which affect the health of your residents or employees. Immediate attention is required to prevent the situation from worsening. We use the latest equipment to detect areas of damage as well as cleanup and restore the place. 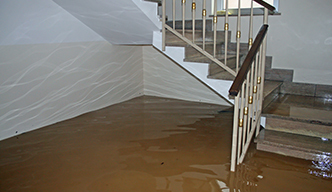 Whether your building has been damaged by a storm, flood, fire or smoke, you can count on our emergency services at Zero Defects to repair and restore it to your complete satisfaction. Zero Defects offers customized fire and water damage restoration services to meet your specific needs. We will work closely with your insurance company and insurance adjuster because understand that time and costs are important considerations in such situations, and provide cost-effective solutions to get you up and running again. 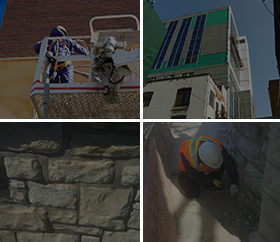 Our building repair specialists work closely with architects, engineers and owners to ensure a safe and efficient job. In-depth inexperience with building envelope engineering enables us to help you avoid any structural or interior problems in the future. When a building suffers fire or water damage, you need an expert construction team that can deal with all aspects of repair. We provide a single-source for all your restoration requirements. Our customer service provides you with complete peace of mind. Plus we can deal directly with your insurance company for the job. Call Zero Defects at 416-398-9376 for a meeting to discuss your fire and water damage restoration project.